Day 5 of the 2014 Hot Rod Power Tour in Crown Point, Indiana started out with a bit of a speed bump; a heavy downpour of rain forced us to seek refuge in the van until the skies cleared up. The rainstorm eventually turned into a light sprinkle and we finished our setup as cars began to roll into the venue. 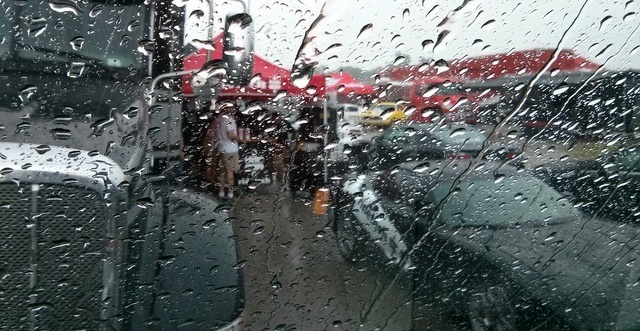 A little rain wasn’t going to keep these gearheads away; there are no garage queens on the Power Tour. A mobile dyno sponsored by Lucas Oil was on site doing pulls all day. One of the best sounding cars on the dyno was this ’60s Chevrolet Malibu. 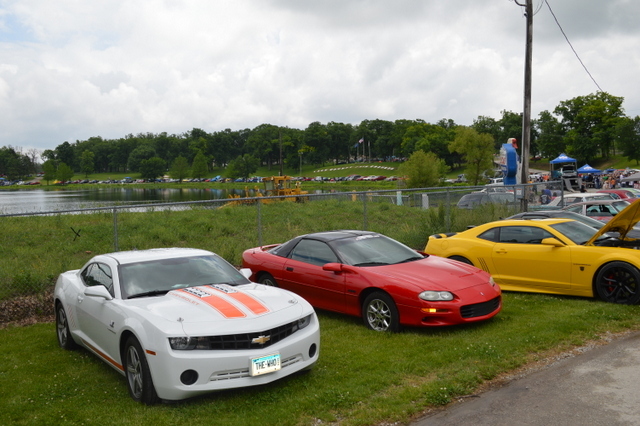 Surprisingly, the Malibu only puts out just under 350 HP; it sounded like it had 600+! I also had an opportunity to chat with Bob Stange, founder of Strange Engineering. 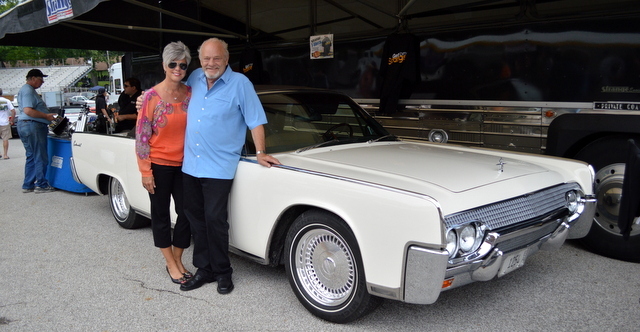 We talked about his adventures in the automotive industry, his ’61 Lincoln Continental and Strange Engineering’s 50th anniversary. Stay tuned for the full interview with Bob. We’re headed to the Isle Casino Hotel tomorrow in Bettendorf, Iowa. Winner, winner, chicken dinner! Check out the previous days’ coverage. 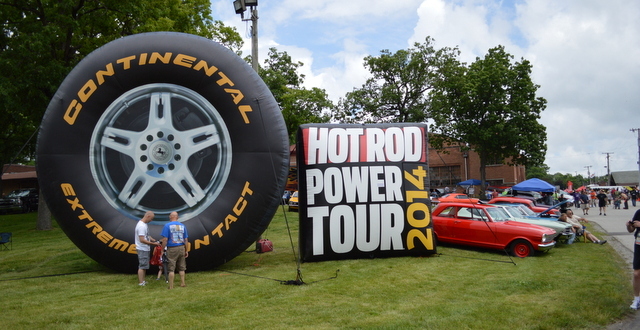 Go on to Day 6 of the 2014 Hot Rod Power Tour. Awesome show at Crown Point.